At Pradera we offer you the opportunity to live in the rolling countryside between Parker and Castle Rock. 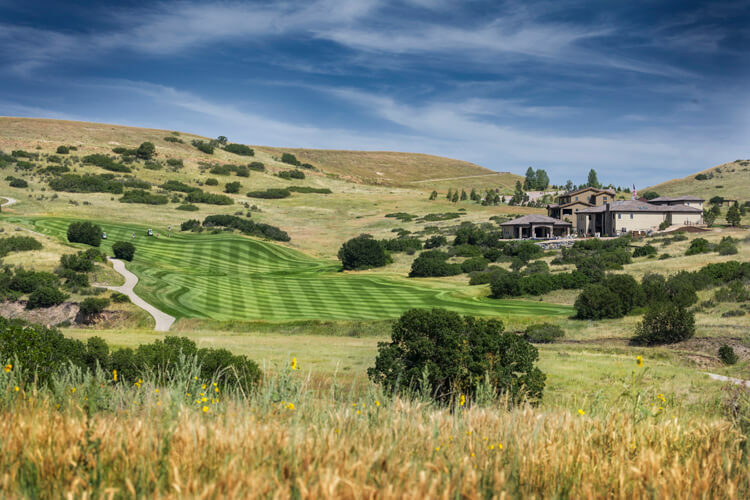 The community offers you spacious homesites, hundreds of acres of open space, an award-winning golf course and wide-open vistas. Life at Pradera is friendly, unpretentious, and very welcoming. See for yourself what life here is like by taking an aerial tour of our community – Click Here! Once you’ve had a chance to take an aerial tour of the community, you can also see videos of each of our available homesites in The European Hillside Collection. Each video will bring you onto the homesite where you can experience for yourself how expansive it feels and how it relates to the homes, golf course and open space that surround it – Click Here! Brand-new luxury homes at Pradera are available from the $900’s and incorporate the best of European architecture re-imagined to reflect the best of Colorado-living with open, livable floorplans and wonderful outdoor living spaces. To set up a VIP tour, contact Craig Penn at 720-851-9411.